The program “Training of the professionals for the treatment of perpetrators of violence in partnerships” was accredited in the Republic Institute for Social Protection in July 2012 (entered in the register of accredited programs and carries 15 points for licenses for employees in social protection). Authors of the program and certified coaches and psychotherapists ever since conduct training of interested professionals in the Republic of Serbia. They developed a handbook which provides trainees with a theoretical framework to understand the phenomenon of domestic violence, and practical guidelines for the group work sessions with the perpetrators. It is desirable that training participants, in addition to graduating from the humanities area, have some experience in group work, and have completed training in one of psychotherapeutic modalities. At the beginning of education all participants will receive the Handbook and other materials for the implementation of treatment program. Mastering basic scientific knowledge in the field of the phenomenon of violence in partner relationships that are necessary for the proper implementation of the program. Acquiring specific moderation skills of participants to perform the treatment with the perpetrators of violence. The program duration is 7 days, each day includes 4 blocks of 90 minutes each, a total of 8 hours with breaks between blocks and an hour-long lunch break. The seventh day of training: Assessing the degree of mastery over content and theoretical knowledge of the training program; Evaluation of training program. After the training, the implementation of treatment programs for perpetrators of partner violence, involves a combination of individual and group work and requires the participation of at least 2 co-therapists.  The treatment of perpetrators of violence in Serbia is based on a modified and adapted version of the appropriate model of treatment developed by the Norwegian organization “Alternative to Violence” 20 years ago. The treatment presents a new model of group psychological treatment, which is aimed at men, the perpetrators of partner violence. The treatment is a combination of individual and group therapy and psycho-education. The main goal of treatment is to stop the violence, the safety of victims and prevention of recidivism. Specific objectives are: responsible mastering of violent behavior or a tendency toward violent behavior in the partnership and its changing to a model of non-violent attitude towards women, on the cognitive, affective and behavioral levels. The starting point is an understanding of partner violence as an abuse of power to achieve dominance and control of the process in which the violent partner harms its victim, forcing her to do what she does not want to do or to stop her from doing what she wants to do. An approach based on the imbalance of power concept is the latest model of understanding of partner violence and has significant advantages over earlier models (model of conflict, psycho-dynamic models, theory of learning, etc.). In addition to working through the abuse of power, the treatment involves working on a mental processing and cognitive anger management, construction and learning of non-violent models of relating to a partner, as well as non-violent conflict resolution skills. Working in men’s groups also has a number of advantages over other forms, such as individual or partner therapy. The method incorporates some elements of the system theory, theory of affects, trauma, and attachment theory. Appropriate indications and contraindications for treatment in group setting were developed. Treatment is implemented by specially-trained professionals (psychotherapists and psychological counselors) Treatment consists of 4 individual introductory sessions followed by 24 group sessions within eight major topics: what is violence, psychological violence, sexuality, alternative to violence, the causes of violence, father and child, responsibility, consequences of violence. The psychotherapy emphases focus on clients personal experience, especially on the first experience of violence, the latest experience of violence and the most severe episodes of violence. The first ex post evaluation of the performance of the treatment show that the success rate in Serbia is similar to that in Norway and is about 80% of successful cases in which there was no recurrence of violent behavior. In addition, participants of the treatments showed significant levels of acceptance of responsibility, they changed their beliefs about gender equality as one of the causes of violence and in general exhibited more skill in behavior that is socially acceptable. Moreover, we must emphasize that this success rate applies to customers who estimated that there are indications to be involved in further treatment after completion of 4 individual introductory session (around 60% of respondents) or for whom it was established the absence of contraindications.